Congress Leaders have been revolting against the leadership over denial of MLA Tickets citing alliance dharma. Ranga Reddy District DCC President K Mallesh created a sensation by alleging Dasoju Sravan was allotted Congress ticket to ensure the victory of TRS Candidate Danam Nagendar. 'There are coverts in the Congress Party. Injustice was done to Yadavs and Kurmas in the allotment of seats. Accepting Rs 10 crore, A weak candidate (Dasoju Sravan) was fielded against Danam Nagendar. T-Congress Leaders have been acting like a gang of thieves. Tickets were offered based on the cash bags. I have the audio tape of Bhakthacharan Das demanding Rs 3 crore for allotting a ticket. Bhakthacharan's Son demanded Rs 3 crore for Ibrahimpatnam Seat. Tickets were allotted not based on seniority, but for newbies and relatives. 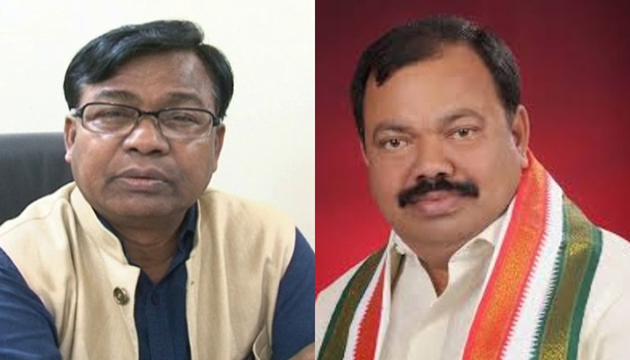 Those Congress Leaders who criticize KCR should be ashamed of themselves,' he opined. On the other hand, Hyderabad Former Mayor Banda Karthika Reddy staged protest before Rahul Gandhi's residence in New Delhi over denial of ticket. She questioned, 'Am I who served as a Mayor not eligible to contest as an MLA?'. Followers of Sabitha Indra Reddy's Son Karthik Reddy who aspired for Rajendra Nagar ticket destroyed the Congress Flag & Flexi at party office in Shamshabad. Ponnala (Jangaon), Bhikshapathi Yadav (Serilingampally), Patel Ramesh Reddy (Suryapet), Aravind Reddy (Mancheryal) and Nayini Rajendar (Warangal West) have been protesting against Congress Leadership. Shankar Rao filed his nomination as Congress Rebel from Shadnagar.